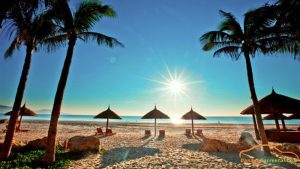 My Khe beach is one of the six most attractive beaches in the world by Forbes – American Economic Magazine. My Khe beach is about 900m long with long and flat sand, sunlight and wave levels are suitable for playing sports. In addition, there are luxury resorts and villas of international standard. Suitable time to My Khe Beach is in summer, from April to September. By this time in My Khe Beach is blue seawater, sunny sun, is the most beautiful time travel. 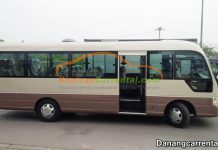 From Ha Noi to Da Nang, ticket price range from VND600,000 to VND2,200,000. It takes 1 hour and 30 minutes to get to Da Nang. Sai Gon to Da nang is the same. Some airlines should refer to: JetStar, Vietnam Airline and VietJetAir. When you have arrived in Da Nang, you continue to take taxi and tell driver to put into My Khe beach. 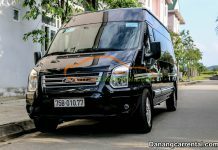 Car to Da Nang are usually the North-South route. 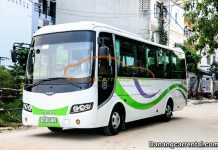 Visitor will take 18 – 20 hours to arrive Da Nang. 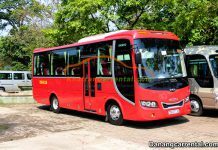 From Ha Noi to My Khe Beach: Giap Bat Coach Station or Nuoc Ngam Coach Station. The ticket prices range from VND 400,000 to VND 500,000. From Sai Gon to My Khe Beach: Mien Dong Coach Station. The ticket prices range from VND 400,000 to VND 500,000. When visitors come to Da Nang to get to My Khe Beach, visitors can pick up Taxi of motorbike for rent with prices range from VND 60,000 to VND 150,000/ 1 motorbike/ 1 day. 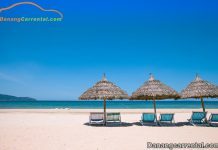 Da Nang car rental to My Khe Beach from airport/station is an ideal choice for visitors who want to find an ideal place to relax after a long trip. 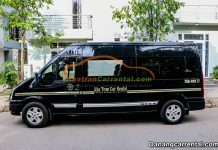 With Da Nang car rental, visitors can choose car model with the best price and services. 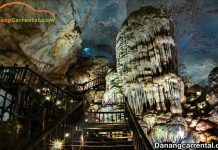 Visitors can visit the attractions places of Da Nang such as Asia Park, Marble Mountain, Son Tra Peninsula,… In addition, visitors can Ba Na car rental, Hoi An car rental,…. Rate is not applied for festival seasons. Please make reservation at least before 24 hours. And provide us your flight details and accommodation detail.